These trowels are used for design and detail work to create beautiful and resilient plastered walls. All prices include express international shipping. We can provide a 5% discount on orders of 2 or more trowels, 10% discount for 10 or more trowels or 15% discount for 15 or more trowels. Used to apply, even and compress plaster in narrow and difficult to reach areas. 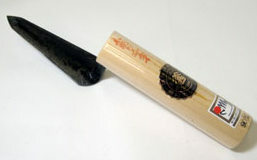 Versatile trowel consisting of thick honyaki steel. Appropriate for applying, evening and compressing heavy lime and cement mortars in difficult to reach areas. Versatile trowel used to make corrections and plaster difficult to reach areas. Thick Honyaki steel maintains shape under pressure. Versatile trowel used to apply earth and lime plasters in difficult areas, curves and the boarders around a wall. For quick application of Shikkui, Otsu and other thin plasters. Rounded corners reduce catching and allow for quick movement. Slender trowel used to plaster small details, compress curves and correct the plaster after masking tape is removed. For smoothing and compressing concave curves. For smoothing and compressing concave curves. 105mm length with 21mm or 24mm widths. For smoothing and compressing concave curves. 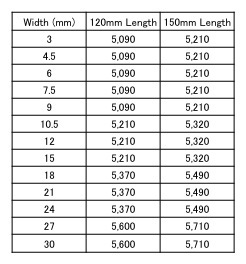 120mm length with 24mm, 27mm or 30mm widths. The shape of the trowel allows for easy smoothing and compression of plaster in difficult areas, such as around wood framing, corners, etc. Used to delicately cut and remove excess plaster from corners, etc. The shape of the neck allows for application and evening of plaster in very difficult to reach areas. The length of the neck allows for application and evening of plaster in difficult to reach areas. 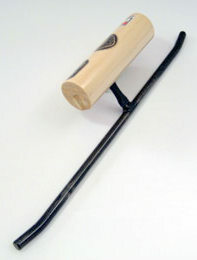 Cresent shapede trowel for tight curves and building out lime grout known as Namako in Japan. 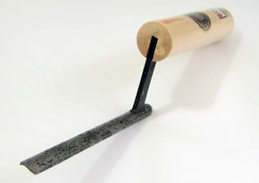 Pointed semi-circular trowel for tight curves and building out lime grout known as Namako in Japan. HonyakiTuck pointing trowel in 120 and 150mm lengths, ranging in widths from 3 to 30mm. Excellent tool for artisan brick work. All widths 120mm in length. Increase efficiency of block work. For evening and compressing concave surfaces.